Matt Leads DRiBOX to Championship Success! | DRi-BOX - the best weatherproof box available on the web! Matt Leads DRiBOX to Championship Success! 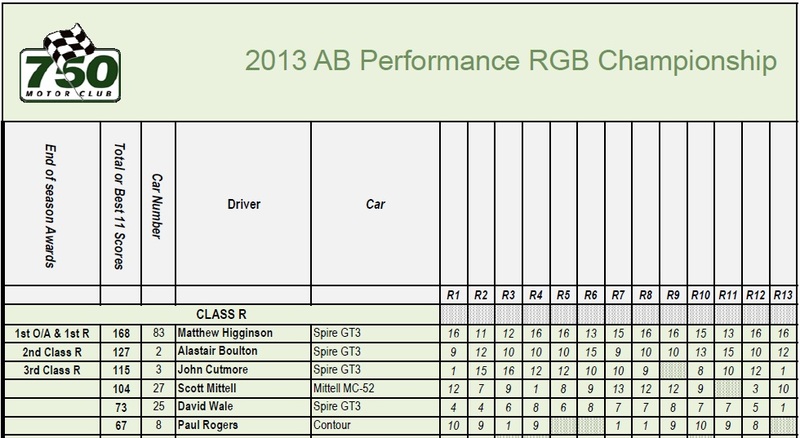 DRiBOX would like to congratulate Matthew Higginson on winning the 2013 RGB Championship by a massive 41 points. This years championship was concluded at Cadwell Park in Lincolnshire in which Matt won both races in spectacular fashion. The 2 victory’s confirmed Matt’s Championship title in only his 2nd season of racing, his debut in the Spire GT-3 car (Sebastian Vettel watch out!). 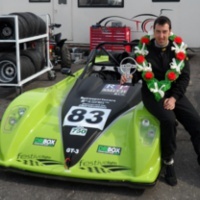 The RGB Championship (Roadgoing bike-engined cars) was created in 2001 for two-seater cars to roadgoing spec and capable of passing an MoT on the day of the event. The cars can be ‘one-off’, converted sports or Sports Specials or one of the many bike-engined Sports Specials. DRiBOX have been proud to sponsor Matt this season and he is currently looking for 2014 sponsorship. If you are a business and interested in national exposure in Autosport Magazine and Motors TV coverage, Matt can be contacted on matthiggo1983@gmail.com.